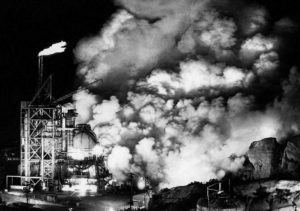 A comprehensive EnviroReporter.com analysis of the Department of Toxic Substances Control’s “white paper” on the Brandeis-Bardin Institute finds the document gravely flawed. 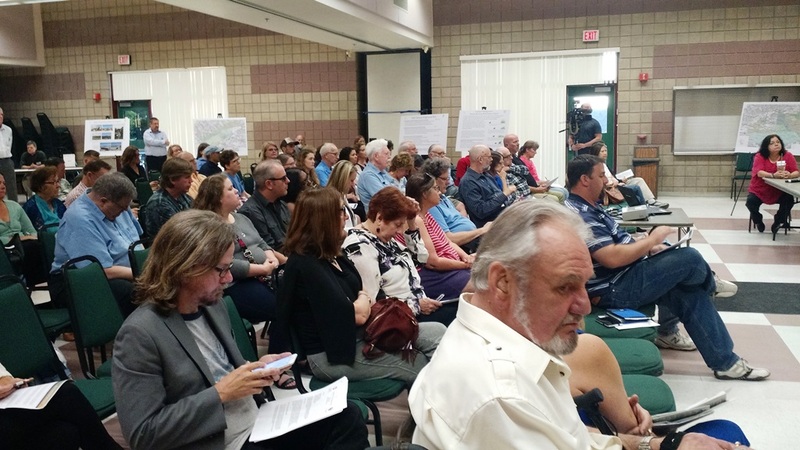 The DTSC paper, released May 2 and produced due to pressure from BBI’s owners according to recent media reports, said that the 2,878-acre Jewish camp was free of radiation and chemical contamination from the bordering, and uphill, Santa Susana Field Laboratory (SSFL). 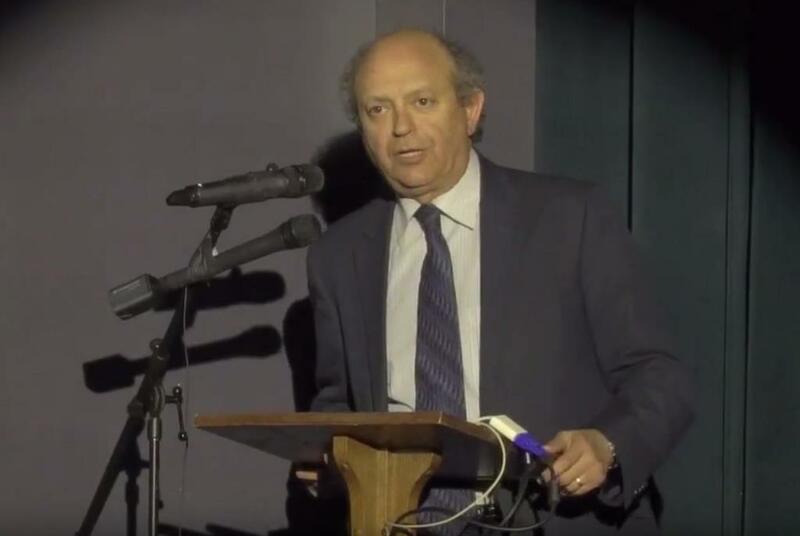 Abundant evidence to the contrary was exposed in EnviroReporter.com’s Brandeis-Bardin’s Toxic Denial April 6, three weeks before the white paper was released. DTSC’s white paper ignored three 2016 Department of Energy (DOE) and NASA studies that showed radioactive and chemical toxins at Brandeis-Bardin. Indeed, EnviroReporter.com only knew of of two of these studies because DTSC sent them along with many others on its list serve. So numerous and serious were the faults of the DTSC report that EnviroReporter.com has produced a line by line analysis called 2017 DTSC Brandeis-Bardin ‘White Paper’ Analysis. The analysis helps connect the confusing DTSC dots and allows the reader to better understand this taxpayer-funded debacle designed to debunk decades of data that demonstrate the extent and severity of the contamination. 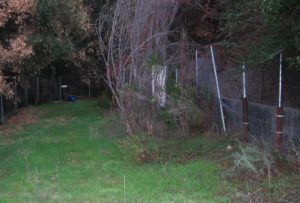 “Based on the state and federal screening guidelines and review of the available data and sampling efforts that has been done in the last 25 years, DTSC has determined the levels of chemicals and radionuclides found on the Brandeis-Bardin Institute campus do not indicate a threat to students, faculty, campers, staff or any visitors,” Nazemi said in a statement he made opening the press conference call. But the white paper’s list of reports analyzed left out the most important recent data. Simply comparing the Brandeis-Bardin’s Toxic Denial reports page with DTSC’s thin Resources list illustrates the point. DTSC ignored the most obvious “available data” including a January 20, 2016 DOE report that the department had actually sent to EnviroReporter.com but did not include in its BBI white paper. That report showed a trio of BBI wells with Area IV nuclear fingerprints. The study stated that several Brandeis-Bardin wells far from the current border with Area IV were recommended for future sampling because “Cadmium-113m neutron activation of Cadmium-112 used in reactor control rods – possibly site process related” was found. [Original report emphasis] Nor does DTSC divulge that DOE reported on another well in the same area that had the radionuclide tin-126 and that “Tin-126 is a fission product and is possibly site process related.” [Original report emphasis] This crucial information indicates that SSFL radiation has migrated down into Brandeis-Bardin groundwater. It was completely ignored by DTSC’s white paper. Also absent from the white paper was a November 2016 NASA report showing levels of fluoride in Brandeis-Bardin artesian well SP-29B that exceeded the California Maximum Contaminant Level (MCL) for it in drinking water. SP-29B’s 4.8 milligrams/liter is more than double the MCL for the chemical. A reading of 4.2 mg/L in the same well in the 1st Quarter of 2017 showed that the toxic level of fluoride in Brandeis-Bardin water increased over that period. Nazemi claimed that “some areas exceeded local background levels established at the time, they still did not pose a threat to human health or the environment,” ignoring a 2016 DOE-AJU Summary Brandeis-Bardin Soils report showing numerous SSFL-related chemicals exceeding their background levels by multiple times. Nazemi said that the US EPA had said that the Northern Buffer Zone effectively “controlled” radioactive and chemical goo, preventing it from entering BBI. But US EPA never said anything of the sort and indeed told DTSC quit making this false claim. 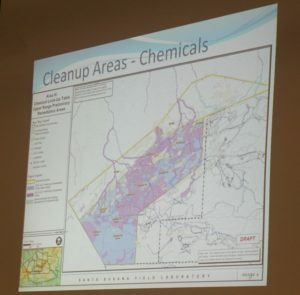 Likewise, the NBZ does not prevent contamination from sloshing down into Brandeis-Bardin in the rain, stop polluted dust from settling in the camp below or prevent SSFL’s intensely contaminated groundwater from spurting out of seeps, springs and wells downhill of the 2,850-acre hilltop complex into BBI. EnviroReporter.com photographs, government reports and DTSC’s own maps illustrate this. EnviroReporter.com’s question was never answered, which is a routine common to the controversial department throughout the last decade. Nazemi did inadvertently admit, however, that DTSC was aware of the missing reports confirming yet again that the white paper ignored the recent results of government agencies showing SSFL goo impacting the Jewish camp. What was included was a “risk assessment” analysis for camp visitors and staff that allows vastly higher amounts of radiation and chemicals to be considered safe at BBI versus Area IV where DOE signed an agreement with DTSC to clean up any and all contamination to background levels. NASA has an identical Administrative Order on Consent with the state EPA’s toxic department to clean up its areas of SSFL activity. 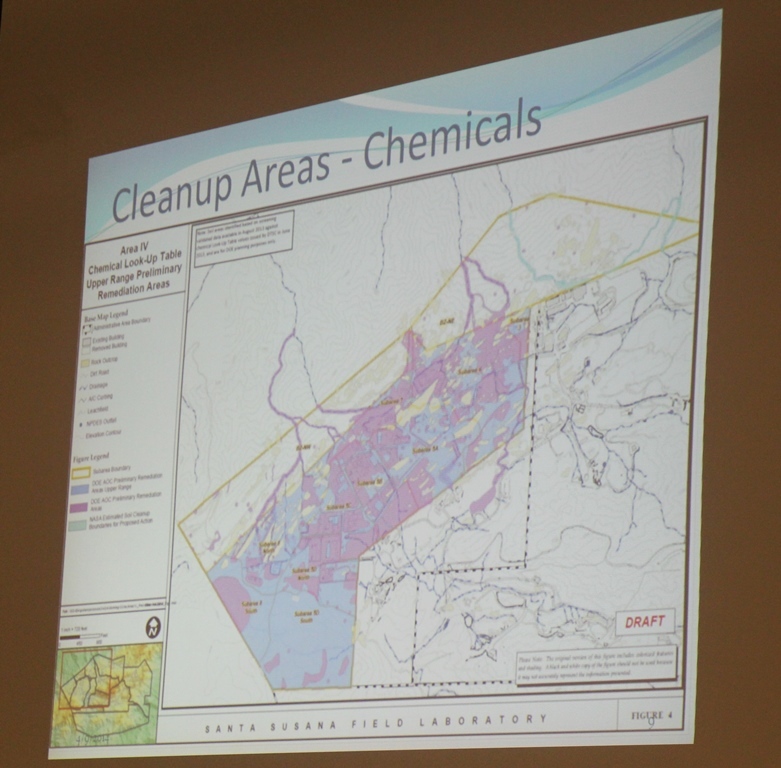 Those areas of activity include offsite zones like BBI where contamination is clearly from SSFL. DTSC and DOE have repeatedly said that they would remediate to background any toxins found offsite which, of course, includes Brandeis-Bardin. DTSC’s white paper changes all that with its convoluted risk assessment. The results, though, are shocking. One of the two most concerning radionuclides emanating off of Area IV is strontium-90. DTSC’s standard for the camp is 42 times higher than the required DOE cleanup level for strontium-90’s BTV for Area IV which will likely end up as a park eventually. Just three times background of any toxic substance, especially a bone and blood cancer-causing radioisotope like strontium-90, is major cause for concern. 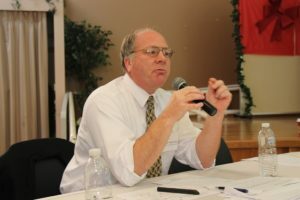 According to documentation obtained by EnviroReporter.com, the California Highway Patrol considers any radioactive material over three times background to be the triggering level for a hazardous materials incident requiring a full HazMat response. That works out to DTSC inflating the amount of radiation considered safe at Brandeis-Bardin by 1,111 times. DTSC uses these weaker standards in the white paper to assert harmless levels of contamination at Brandeis-Bardin, going so far as to claim that all chemicals at BBI are at background. 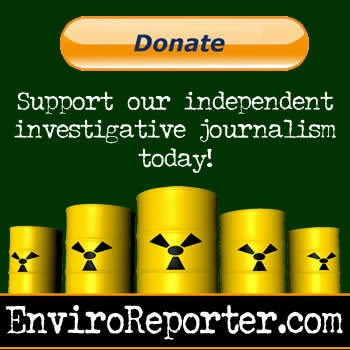 EnviroReporter.com exposed, and proved, that 21 Brandeis-Bardin soil samples exceeded their respective Area IV “background threshold values” (BTVs) for a slew of toxic substances. The heavy metal antimony came in at triple background in the 2016 DOE report given to AJU which sent it to Jewish Journal that then published it unanalyzed. The polycyclic aromatic hydrocarbon (PAH) naphthalene, which has caused cancer in animals, topped out at 5.4 times its BTV. The PAHs fluorine and phenanthrene came in at 5.7 and 6.9 times their respective backgrounds. Thank you Michael Collins for this well researched critique of DTSC’s report on contamination at Brandeis-Barden Jewish Children’s Camp. What can I say, other than I am not surprised that your access to the presser was initially blocked, and that none of the questions you posed were answered. Those behaviors would be entirely consistent with previous efforts by DTSC to report dubious conclusions that were not supported by empirical data of past surveys of contamination at SSFL. At the very heart of this issue lies a more important question. Whose interests, exactly, do State Agencies such as DTSC serve? Is it the companies who own or lease the land at SSFL and Brandeis-Barden? Is it members of the general public who may be near or enter the contaminated areas of those properties? Is it the future generations who will know even less about the history of contamination at these sites when they are converted to park land or real estate development? And what of the public confidence in government after the public realizes that so much damaging information has been swept under the rug by cherry picking results, promoting false conclusions, and generally white washing the truth. Many will be unable to believe they have lost their health, lost their friends, or their family to the hazardous materials still leaching from SSFL to nearby properties. In the end, the loss of people’s trust in government can be the mortal blow to government itself. Recall that government exists by the informed consent of the governed. Inform us, Michael Collins. Pay attention, everyone else. Amazing that the State toxics department works SO HARD to deny there’s a problem in Brandeis-Bardin. They test the fewest possible wells — and then excuse dioxins at 32 times acceptable levels, and overall radiation levels of 1,111 TIMES the EPA levels. It’s mind-boggling and depressing. It’s mind-boggling that anyone thinks Brandeis-Bardin could be remotely safe — a site downstream of 30,000 rocket tests and a meltdown. It’s depressing that the DTSC might get away with this whitewash. I’m sure glad my kid doesn’t go to this camp — I’d like him to outlive me.